Drakesbad Guest Ranch is a dream come true. I woke up at 4:30 a.m. to make it in time for breakfast. I missed a trail junction and had to backtrack a mile. Uggggh. They stop serving at 8:30, so I ran the last two miles in order to make it in time. Oh, what hikers will do for all you can eat meals. With ten minutes to spare, the famous Ed greeted me with a huge hug and made me feel like I was home. A beautiful family from San Jose invited me to dine with them, and I couldn't be more happy. Who else should I find in the dinning room? None other than the gorgeous NOBO hiker, 300. We crossed paths on the trail outside of Trout Lake and I remember saying that we'll meet again because I was so moved by her energy. Even though we only shared a few words in passing, that woman left a big impression on me. How cool to see her with her family now that she finished her hike. After breakfast, I headed down to the hot spring fed pool where I met four others celebrating a birthday. 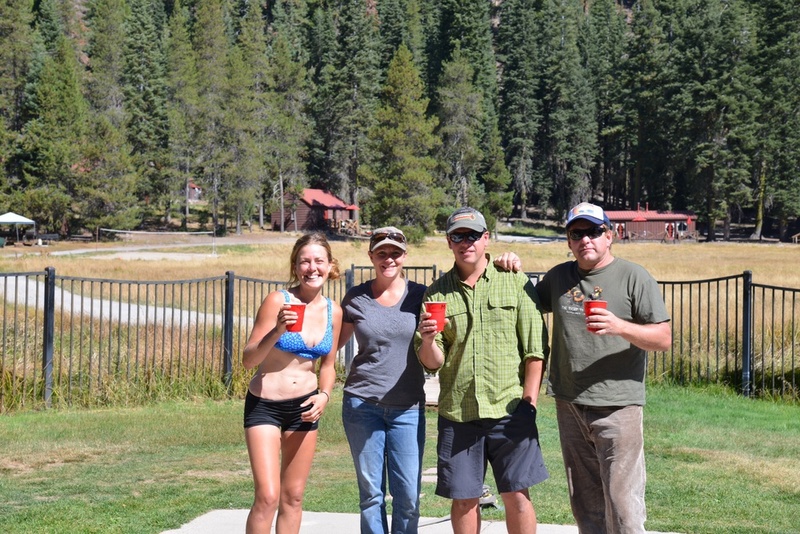 When you see red plastic cups out before 10:00 A.M., it can only mean one thing: Bloody Mary's. Who told them I would be coming? They ran back to the car to fix me up with one... home pickled asparagus, lime and garlic stuffed olive included. Oh, life is good... sometimes, too good to believe.